Are you ready to get a pet portrait created of your beloved pet.? Well I’ve got time now. Just finished up the last of a few of custom pet portraits and now ready for some more! If you want a custom pet portrait shoot me an e-mail (Mackerilla@gmail.com) or call me 831 325-3905! 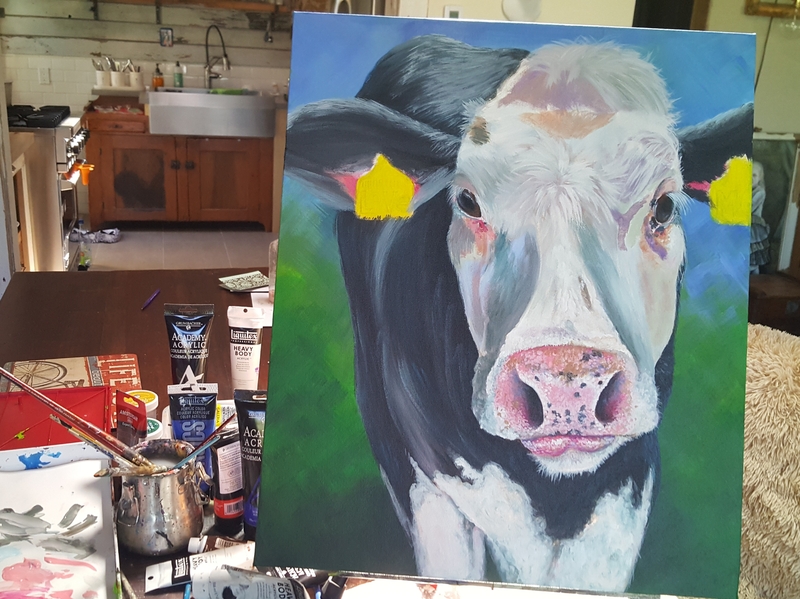 Working away on this sweet cow! 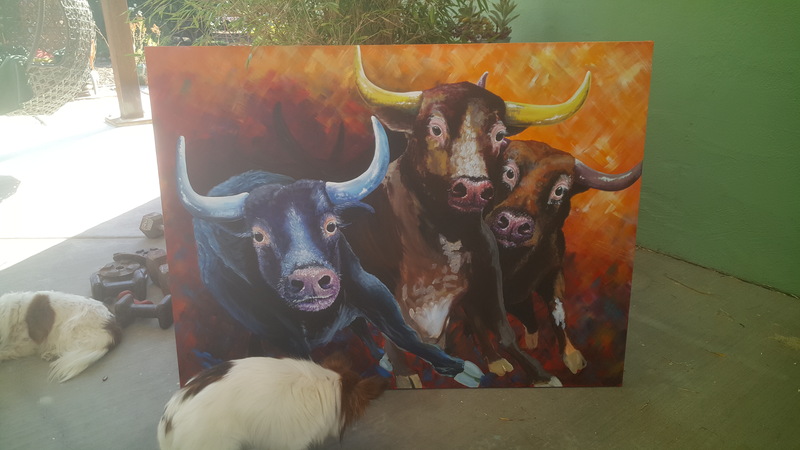 Been busy with dog portraits and wanted to take a break and paint another cow! A friend of mine was in the Netherlands and snapped a great shot of a cow! 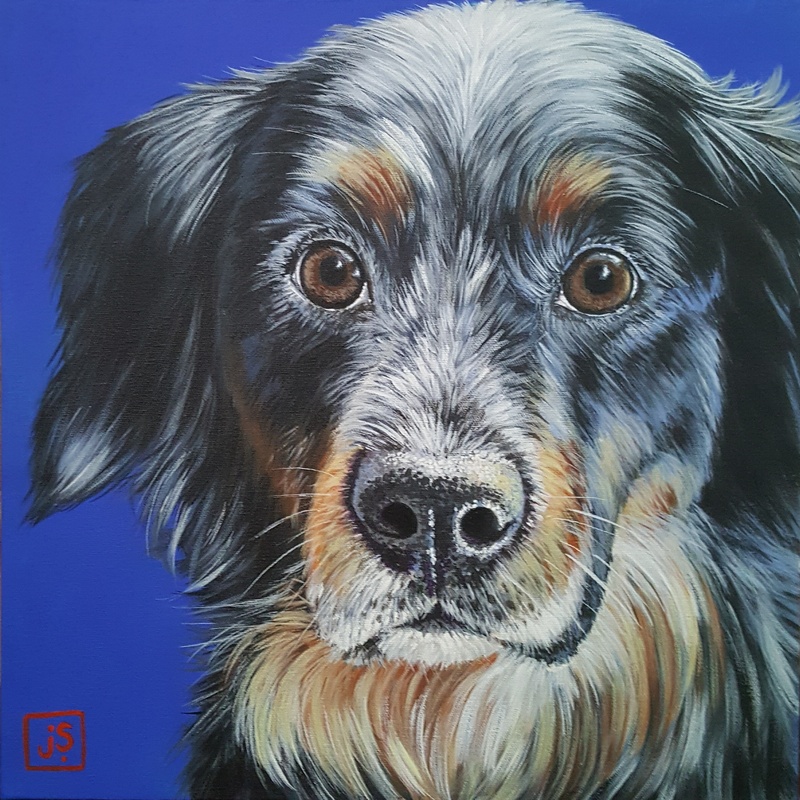 Such a sweet face that I had to paint it!! My artwork prints are now available in my ETSY shop!